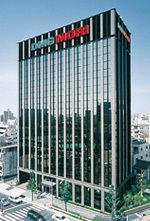 ﻿ DMG MORI CO., LTD. GLOBAL WEB SITE | COMPANY | Group Companies | DMG MORI SALES AND SERVICE CO., LTD.
HOME > COMPANY > Group Companies > DMG MORI SALES AND SERVICE CO., LTD.
DMG MORI SALES AND SERVICE CO., LTD.
On April 1, 2011 DMG MORI established the DMG MORI SALES AND SERVICE CO., LTD. by integrating the sales departments for Mori Seiki and DMG products and the departments handling services in Japan, and the company started sales operations. This means that we can now respond to customer needs more quickly, and with meticulous service. Working as a close partner to our customers, we come up with the optimum proposals based on their requirements in regard to machining. 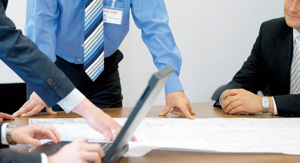 Application engineers help to find solutions to customers' issues.